2017 NWT Championships a Success! Many thanks to everyone who helped with last week-end’s territorial meet hosted by the NWTASSA here in YK. Congrats to all the skaters from across the NWT who competed, achieved personal best times and most importantly, had a smile on their face! Special thanks to 62 Degrees North for providing Emergency Medical Response services. View the results of our speedy skaters! 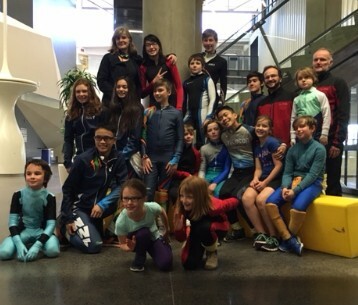 On March 11th and 12th, the NWTASSA is hosting its annual territorial-wide meet here in YK for several NWT Clubs, Cambridge Bay, Iqaluit and Whitehorse, so come cheer these skaters on! This 2-day meet involves all ages and abilities of skaters. Please complete the registration form and return it and payment to your coach or Karin Clark (4805 Hershman Road). The deadline for registration forms is Sunday, February 26th. Many volunteers are required to run this meet (set-up, timing, recording, lap-counting, water, runners, etc) so we need YOU!! Training and direction will be provided. Please contact Martin Rourke if you can help. Please contact the Club If you can help by bringing some muffins, cookies, fruit trays or crock pots (soup or chill). THANKS! Speed Skating Canada (SSC) has created the Youth Development Fund to support the future of speed skating for kids across Canada. The Youth Development Fund, when mature, will support annual program budgets for clubs, membership, coach and officials development. For more information please check out the SSC website. Mark your calendars for the next NWT skating meet scheduled for March 11 and 12 in Yellowknife. This meet is hosted by the NWTASSA and brings together all territorial clubs for an exciting 2 days of racing! Stay tuned for more details on registration and volunteering. RU Fast is a fun meet taking place in Calgary on March 4-5th and suitable for all ages. We are currently looking for a coach(es) and trip coordinator to help with the travel arrangements and skater support. Please send us an email if you are interested in either of these positions. YKSSC out of town meet policy indicates skaters under the age of 10 must be accompanied by a parent. Skaters 10 and up and can travel with the team coach and chaperone. If you are interested in sending your skater please talk to your coach. Please join us for our annual Santa Skate on December 17th 4-5pm Ed Jeske rink. We will have hot chocolate and other treats for the kids. The big guy himself will also join us! Congrats to our Skaters that traveled to the Edmonton Fall Classic! A team of 17 skaters (including one from Inuvik! 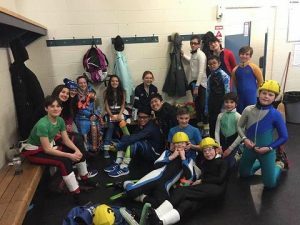 ), 2 coaches and chaperone made a great showing in mid-November at the Edmonton Fall Classic speed skating meet. Way to go, Team! We currently have 135 skaters registered for this year and all programs are off to a great and fast start! Thanks to all families and skaters for supporting our Club! Upcoming Ability Meet – Registration Open – help needed! On December 3rd, the Club will be hosting its first meet of the season so come cheer our skaters on! The Ability Meet involves all ages and abilities of skaters. Please complete the registration form and return to your coach or member of the Executive by Wednesday, November 16th. Many volunteers are required to run this meet (set-up, timing, recording, lap-counting, water, runners, etc) so we need YOU!! Training and direction will be provided. Please contact Martin Rourke if you can help. To help keep our wonderful volunteers, coaches and officials energized and happy throughout the day food is provided. Please contact the Club email If you can help by bringing some tasty food. Proper equipment and attire is essential to ensuring the safety of our skaters on the ice. And equipment needs change as skaters increase in skill level and speed. Please review the list of equipment requirements for your skaters group to ensure you are complient. If you find you need a particular item, a great place to order online is: I Love Speed Skating. Please talk to your coach if you have any questions or concerns or send an email to the Club.